The Moover Baby Truck is fun and enables your child to familiarise himself with play on wheels in a safe manner. Moover Baby Truck allows your child to hang things from the crane and there is even room for their favourite teddy in the cab! Additional toys can be carried in the compartment at the back. The Moover Dump Truck can bear your baby's weight so it can also be used as a ride on toy. Shock absorbing rubber wheels also protect your baby from speed while also protecting furniture from bumps. Wood used to create Moover Baby Truck has been sourced from sustainable sources. 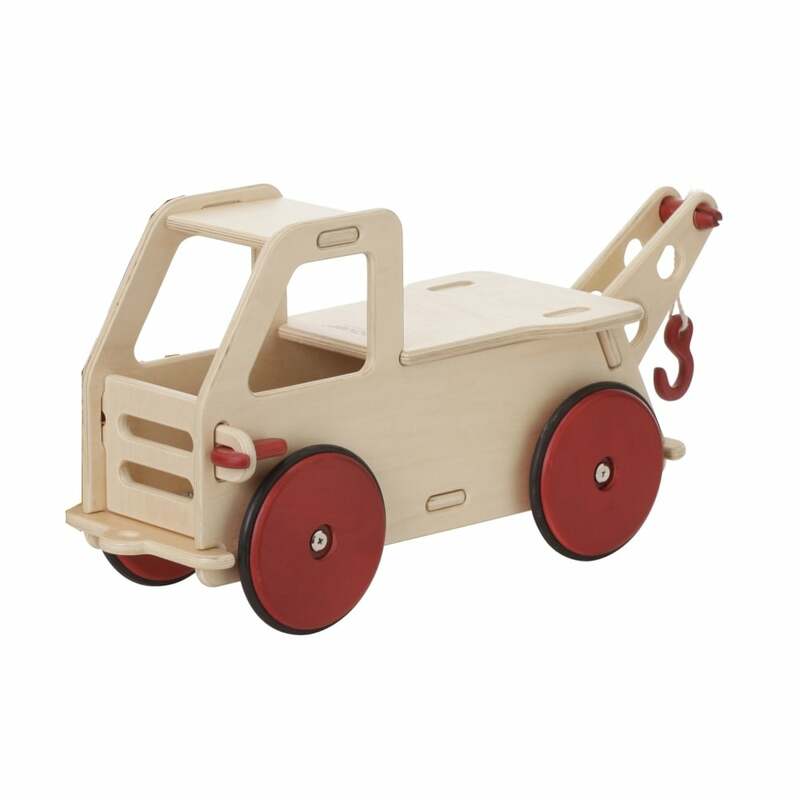 The Moover Baby Truck is one of many great gift ideas.